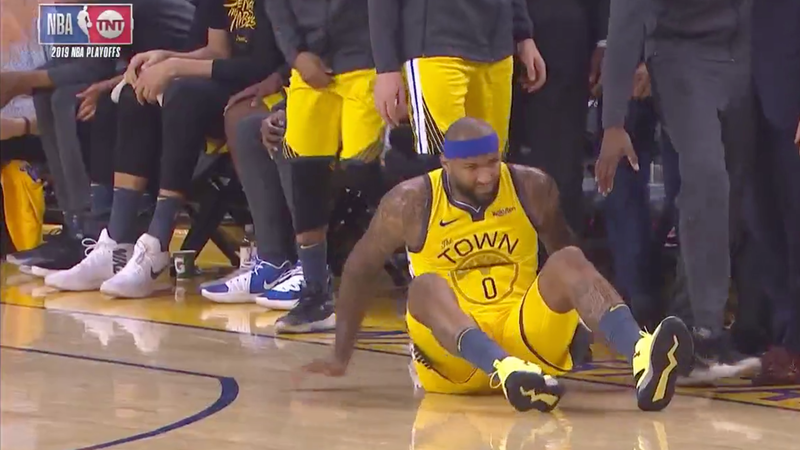 The Warriors are facing a scary situation early in their Game 2 battle against the Clippers, because DeMarcus Cousins had to head back through the tunnel after injuring his left leg while trying to make a steal. Cousins got a hand on the ball, but while he was trying to chase it down, he seemed to just crumple to the ground untouched. His left leg—the same leg that had the Achilles tendon he ruptured as a Pelican—appeared to be the culprit. We’ll update as word on Cousins’s injury becomes available. Update (11:11 p.m.): He’s out for the game and will have an MRI tomorrow.